Call 704-879-1418 to schedule your first appointment. Miracle-Ear® is America's most recognized brand of hearing aids, and you can come to us if you've been looking for hearing aids in Statesville, NC. We carry a wide variety of hearing solutions designed to fit our customers' lifestyles and style preferences, and our experienced hearing care specialists can help you find the best match for your needs. Have You Noticed Changes in Your Hearing Ability? Does it seem like people around you are always mumbling? Do you have trouble hearing women and children more than men? Do you feel like you're constantly asking people to repeat themselves? Are you reluctant to attend social events because you'll have to carry on a conversation? Our location proudly provides free hearing tests** to anyone concerned about his or her hearing, and the good news is that there are steps you can take to counteract your hearing loss. Just look at the cutting-edge technology we have to offer. Hearing aids utilizing our GENIUS™ Technology come equipped with features that allow you to have an optimal listening experience in any type of environment. The Wireless Windscreen feature blocks out distracting wind noise and the High-Definition Digital Sound feature gives your hearing solution the ability to work in conjunction with one another instead of operating as separate hearing aids. You can even fine-tune your sound quality using our GENIUScontrol app† on your Android or Apple smartphone. Discover and experience the Miracle-Ear advantage. Visit our hearing aid center in Statesville to see our hearing aids and get an overview of how our hearing aids can serve you in the midst of your favorite activities. 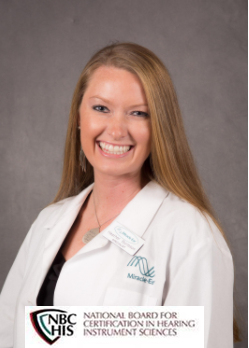 I began my career with Miracle-Ear® as a Hearing Healthcare Professional in 2012 and consider myself very fortunate to be able to help people reconnect to friends and family members. I know that those suffering from hearing loss are missing out on many of life's precious moments. Hearing loss, whether great or small, can have a profound effect on your life. There are so many wonders and beauty in sound; I don't want anyone to miss those great moments. It is truly remarkable when I see the expression on my patients faces when they rediscover not just hearing, but understanding conversation for the first time in years. I am in this practice to help everyone I possibly can to achieve the best possible hearing health. I assess every individual who enters my office and find them an appropriate solution to improve their hearing health. The relationships I have developed with my patients is priceless, they have become like family to me. I am a North Carolina native and Lenoir-Rhyne University graduate with a Bachelor of Arts degree. I enjoy spending time with family and friends, watching sports, traveling, exercising, and being on the lake or at the ocean. I also volunteer at Mooresville High School. In 2013 I began a new career with Miracle-Ear®. I could not have imagined what a perfect position this would be for me. All my life I've had a desire to help others and make a difference in people's lives. 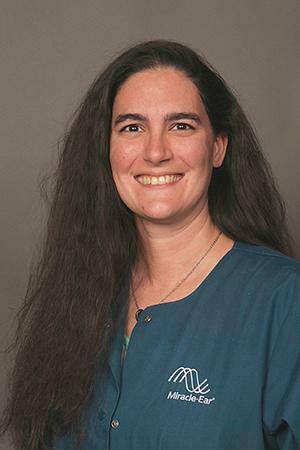 As a Patient Care Coordinator, I have enjoyed establishing relationships with all of our new and current patients. Helping others has always been a part of who I am. Prior to joining Miracle-Ear®, I was an elementary school teacher for about 6 years and worked in a bookstore. When I am not working, I enjoy reading, watching movies, playing with my black lab, and spending time with my nephews. **Hearing test is always free. Not a medical exam. Audiometric test to determine proper amplification needs only. †App StoreSM is a service mark of Apple Inc.